Celebrating Peace on Peace One Day with our Partner Programs! CAC working in Indonesia on Peace One Day! September 21, 2012: Football for conflict resolution and social inclusion are two of the main themes that Coaches Across Continents focuses on when delivering football for social development programs with our partner groups all around the world. While working with these local partners, Coaches Across Continents leverages the passion of football to create games that highlight the importance of resolving conflicts in a peaceful manner and that show that there are multiple solutions to problems in life. These games encourage the children, the future leaders of the communities, to come up with their own solutions individually and collectively. 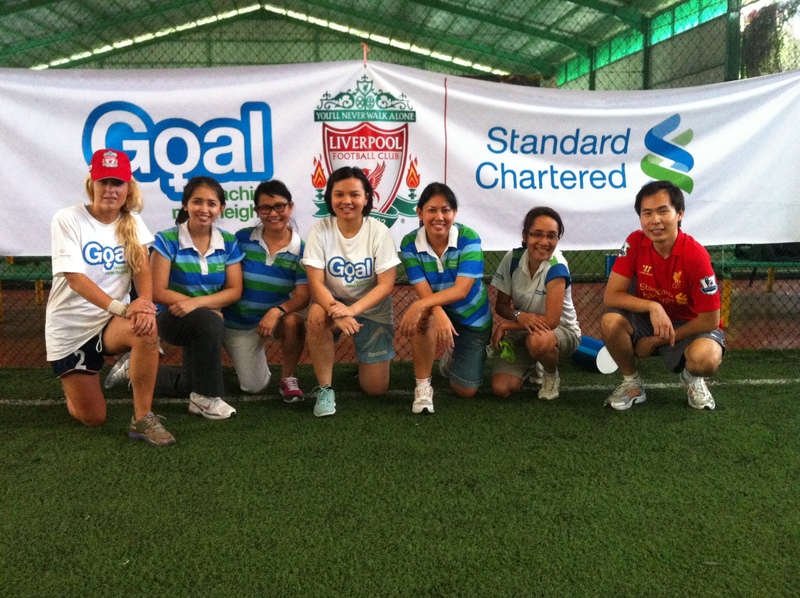 Coaches Across Continents program leaders are celebrating Peace One Day in both Indonesia and Ghana, working with and teaching the new GOAL On Field program to Standard Chartered Employees, coaches, volunteers and teachers. There are many skills taught within the GOAL program which include conflict resolution, problem solving skills and working with teammates while important themes addressed include understanding the different forms of violence and creating safe spaces for youth. Creating safe spaces that offer youth the opportunity to play and to express themselves is essential to creating peaceful communities. A safe space in many communities is a football pitch. Many of Coaches Across Continents’ partners are working in very dangerous areas where peace is not the norm. 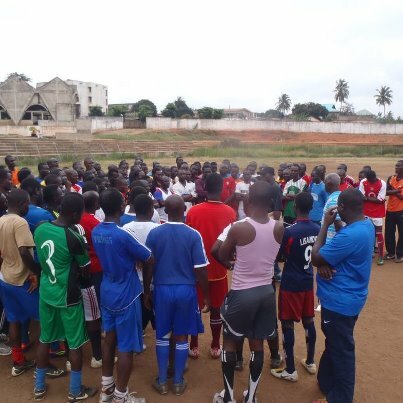 Coaches in these communities are working to use football as a medium to work with the youth to show them that they can be part of the solution to create peace in their communities. CAC encouraged their partners to join the Peace One Day movement and use their platform and space in their communities to promote peace through sport today. Many groups signed on and have shared with CAC their plans and projects for the day including groups in Kenya, Zimbabwe, Indonesia, Ghana, South Africa and Tanzania. In Ghana, Coaches Across Continents’ partner Youth Icons founder Nana Osei-Dawkwa is also the national coordinator of the Ghana Peace Campaign and has been instrumental in organizing the Peace One Day One Million-Man March in Accra. CAC partner One World Futbol knows that sports and play help individuals, especially children, to recover from trauma and cope with poverty, war and natural disaster, which is what motivates them to offer more children the opportunity to play with footballs that will survive tough field conditions and rugged environments. CAC and our partner programs are dedicated to the goal of Peace One Day 2012, which is that today will be the largest global reduction of violence every recorded on one day- as well as the largest gathering of individuals in the name of peace. Next: Great GOAL in Ghana!